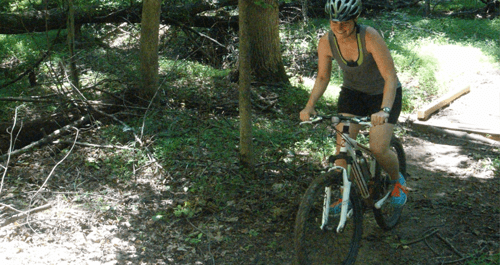 The DC Metropolitan area has a wealth of outdoor adventure opportunities, for youth and adults. 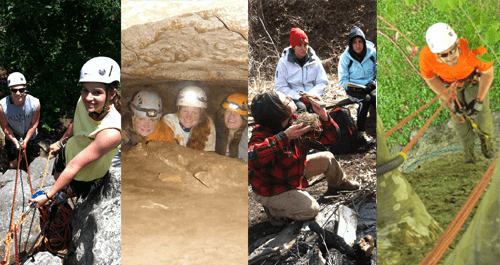 Our Beginner to Intermediate Level Adventure Instruction courses will give participants the chance to learn the basics or work on more advanced skills. 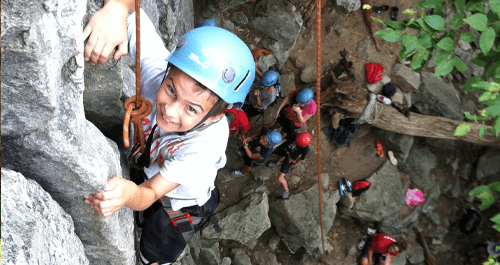 Choose from a variety of land-based adventure sport activities throughout the DC Metropolitan area. 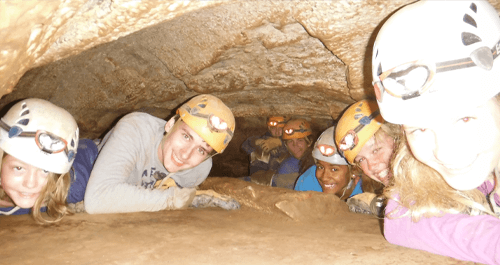 Adventure programs can be customized for individuals, youth and adult groups. Not-for-profit, educational, government and corporate pricing is available upon request. For new and intermediate-level climbers, the Top-Rope Rock Climbing Series teaches everything from the basics of climbing to advanced self-rescue and anchoring systems. Join us for our Beginner to Intermediate Level Caving programs, which takes place at Whiting’s Neck Cave, near Martinsburg, WV, and other caves in Pendleton County, WV or Shippensburg, PA.
Our Recreational Tree Climbing clinics give participant a chance to move from the ground up into the canopy using climbing gear and a few cool knots and tools that are mostly used by tree trimming technicians and arborists. 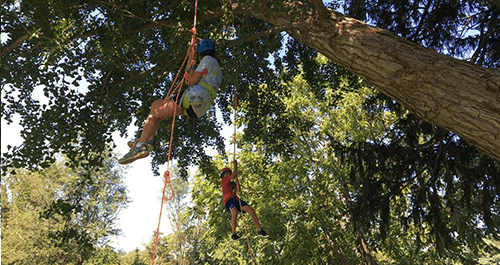 Tree climbing is an incredibly fun and satisfying recreational activity that can be done almost anywhere – even your own backyard!. 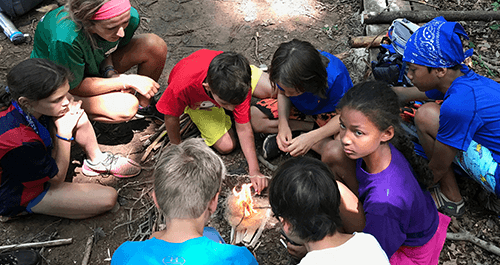 Whether you are looking to make car camping more enjoyable with a warm fire, or you are getting ready to hike the AT, learning basic outdoor skills is the key to staying found, safe, and comfortable in the wilderness. Our Introduction to Wilderness Skills gives you the tools to plan your next trip into the outdoors with confidence. 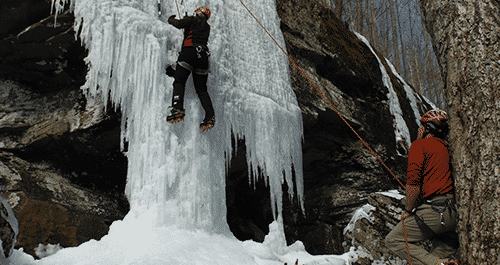 Join GO-Adventures and Alpine Inspirations for an Ice Climbing Adventure in the Catskills of New York! 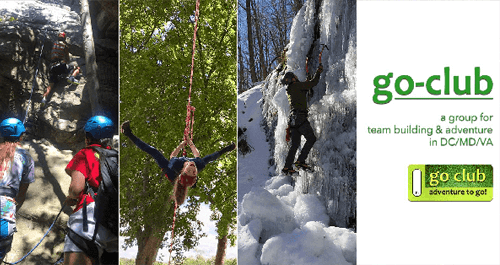 This one-day introductory course covers all the basics, from how to stay warm to how to best use your tools and crampons to climb efficiently and naturally. We’ve scouted out some fun routes for both the novice and experienced ice climber, and with a low guide to participant ratio, you’ll get plenty of chances to hone your skills with tools and crampons. The AICS guides are masters at getting your skills up to par – fast. You’ll climb a lot, for in this sport more than most, practice makes perfect AND practice keeps you warm!